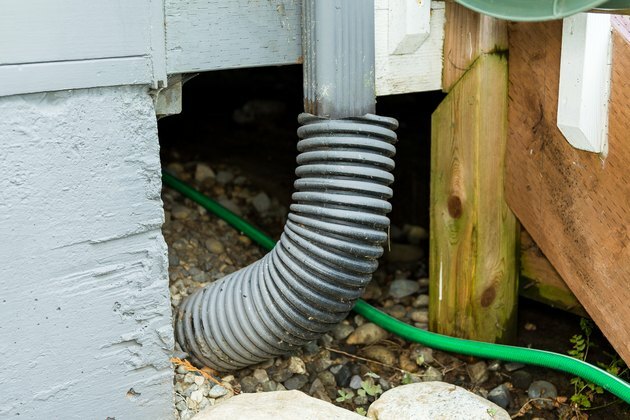 A rain gutter drain pipe is usually installed to carry water away from your house. Many of these pipes are placed underground to avoid the eyesore of pipes laying on the ground next to your house. An underground drain pipe can become clogged in a variety of ways, including leaf buildup or damage to the pipe itself. 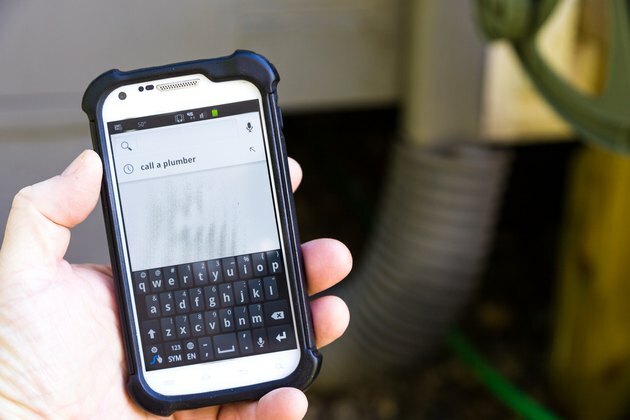 The methods used to unclog a drain pipe range from the fairly simple to calling in professional help. Check where the water drains out of the pipe. Many times this end of the pipe has a leaf guard or metal screen. Remove the guard and pull out any debris you may find. Shine a flashlight into the opening to see if you can spot the blockage. Disconnect the gutter downspout from where it connects to the drain pipe. Remove the guard at the other end of the drain pipe, if there is one. 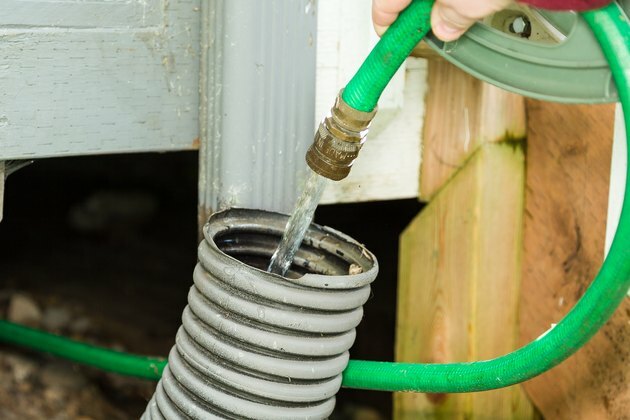 Turn on a garden hose to its most powerful setting and run water through the drain pipe. Check to see if water and debris come out the other end of the pipe. 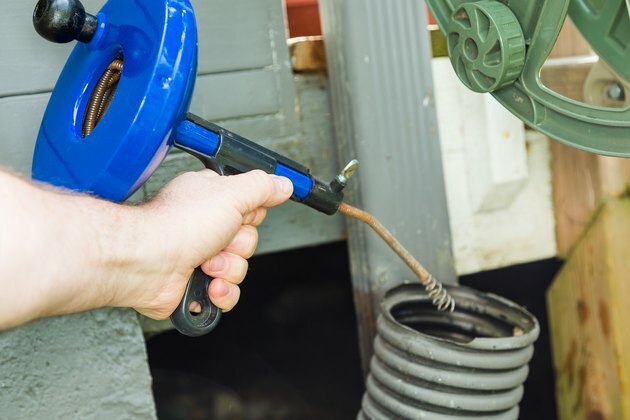 Rent a plumber's snake at a hardware or home improvement store. Run the snake as far as you can into the drain pipe. 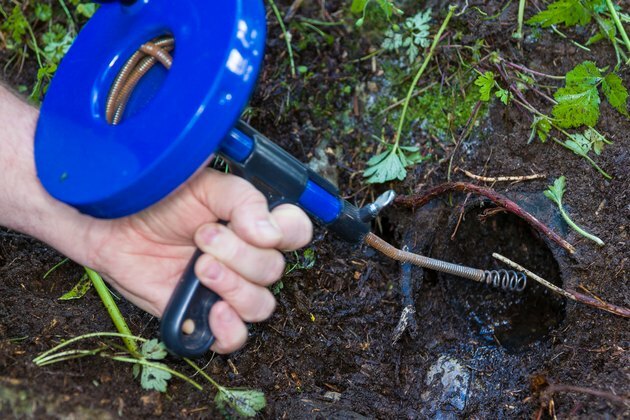 Remove the snake and run water through the pipe with a hose. Check to see if water comes out the other end of the pipe. Run the snake into the opposite end of the drain, if it was not long enough to go through the entire pipe from the other end. Run the snake as far into the pipe as far as you can. Remove the snake from the pipe. Run water into the opposite end of the pipe. Shove a hose into one end of the pipe. Check to see how far it goes before it is blocked. 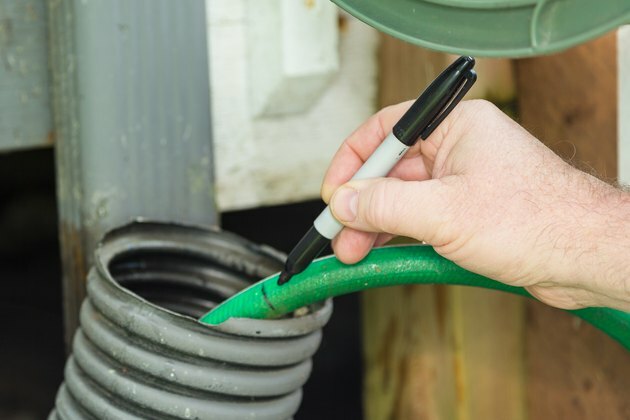 Draw a mark on the hose with a pen and pull the hose out. Place this marked length of hose above the underground drain pipe. 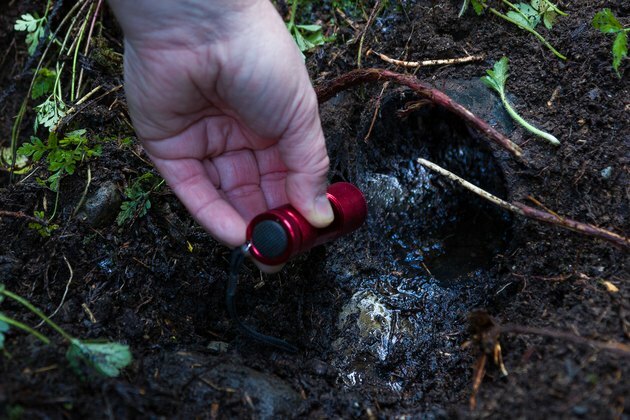 Dig into the ground at the point of the blockage and inspect the pipe. It's possible the pipe has become damaged by roots. A damaged pipe will probably have to be replaced. Call in a professional plumber. A plumber will probably have a wider and longer snake.